Janis Commentz is a southern California native who grew up near the coast and began drawing and painting early in life. As the daughter of an artist, she was surrounded by art materials and enjoyed trips to galleries and museums, as well as seasonal trips to Laguna Beach and Carmel. Commentz moved to the Mojave Desert in 1977 to teach high school art and English. At the University of Redlands, she earned a B.A. in art and English and studied with John Nava, well-known for his tapestries at the Cathedral of Our Lady of the Angels in Los Angeles. She holds an M.A. in Education from California State University at San Bernardino, teaches youth art classes at the 29 Palms Art Gallery, and has facilitated life drawing in Joshua Tree for eight years. She has exhibited at Gallery 62, Joshua Tree Art Gallery, the Purple Agave and Rainbow Stew in the Morongo Basin, T.E. Studios in Riverside, and the Redlands Art Association, Redlands. Commentz participated in the Hwy 62 Open Studio Art Tours (seven seasons), Joshua Tree National Park Juried Art Exposition (three years), Joshua Tree National Park Spring Art Festival, Art Faire at California State University at San Bernardo and Art For Heaven's Sake, Redlands. In 2013, she helped create the “Pop Up” Art Gallery in Joshua Tree, Six Chicks, which evolved into Gallery 62. Commentz served as Gallery Director for Gallery 62 during 2016. She has been the featured artist at the Glass Outhouse Art Gallery in Twentynine Palms and the 29 Palms Art Gallery. 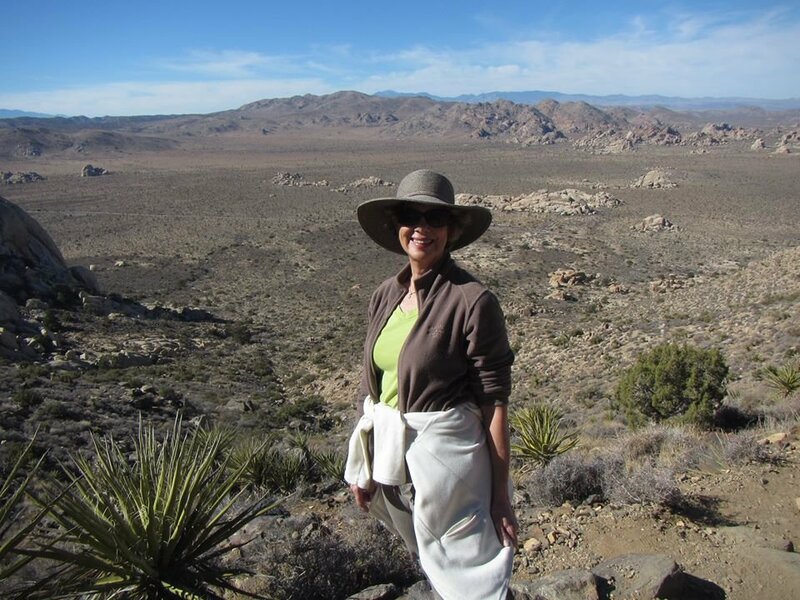 She is delighted that Joshua Tree has become an art destination! Read her new blog on this site.